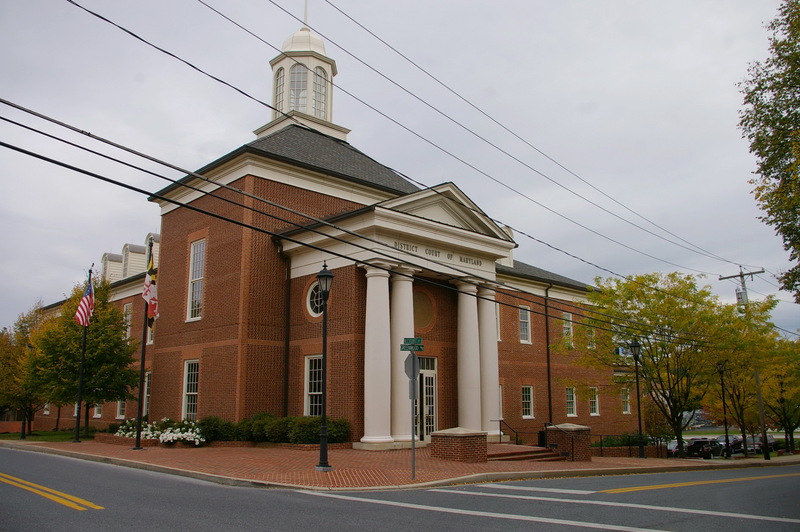 Carroll County is named for Charles Carroll, who was from Carrollton, a representative to the Continental Congress and a signer of the Declaration of Independence. Description: The building faces northeast and is a two story red colored brick and wood structure. 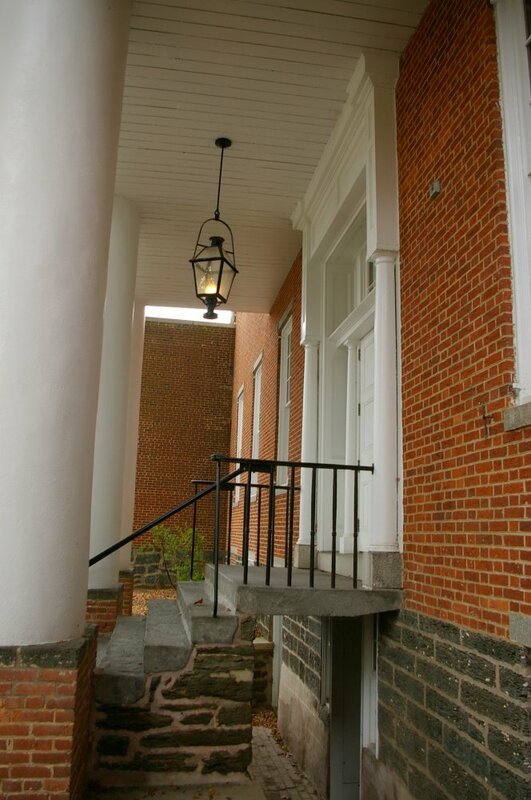 The northeast front has a large portico supported by four large columns rising to a pediment at the roof line and with a balcony on the second story. On the southwest side is a one story portico with double columns on each side rising to a pediment at the second story. Above is a wide gable at the roof line. On the north and south are one story wings. 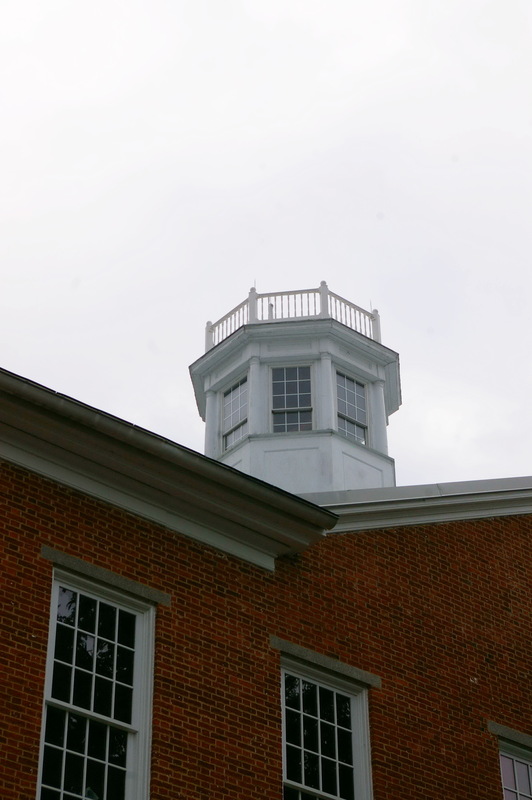 On the center of the roof is an octagonal white colored cupola with balustrade at the top. The roof is hipped with gables on the north and south sides. In 1882, the one story wings were constructed. The architect was Thomas Dixon. In 1935, the wings were rebuilt and enlarged. The architect was Riggen Buckler & G Gorner Fenhagen. The building was restored in 1987. 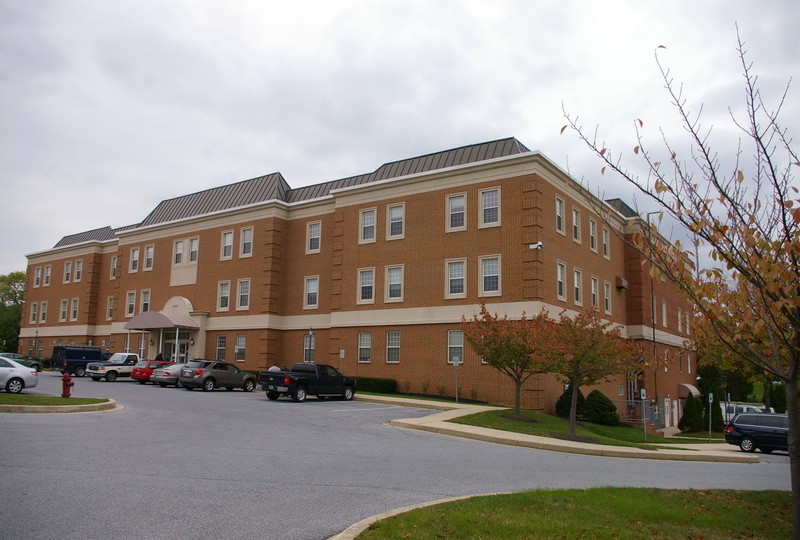 The architect was W Boulton Kelly and Brown, Worrall and Johnson Inc. of Baltimore. 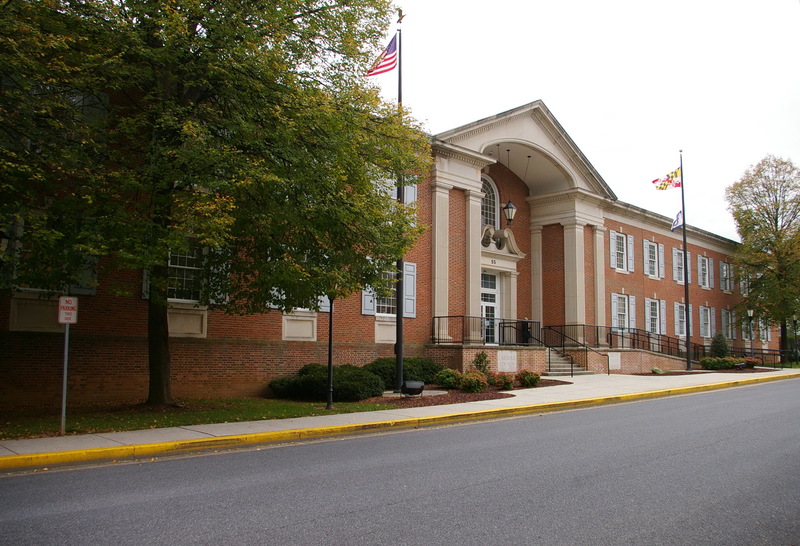 Note: The cost of construction of the courthouse was $18,000. 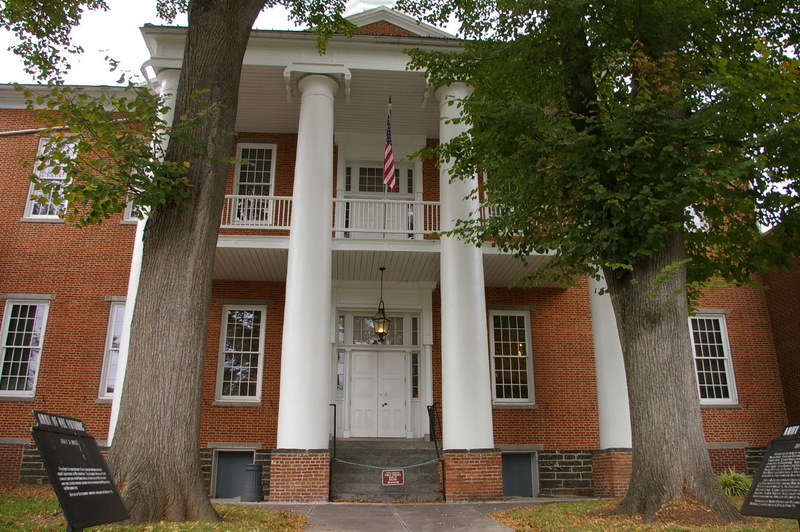 The cornerstone for the courthouse was laid by Andrew Shriver on June 13, 1838. He was assisted by Colonel Joshua Gist, brother to General Mordecai Gist of Revolutionary War fame (Battles of Long Island and Camden). 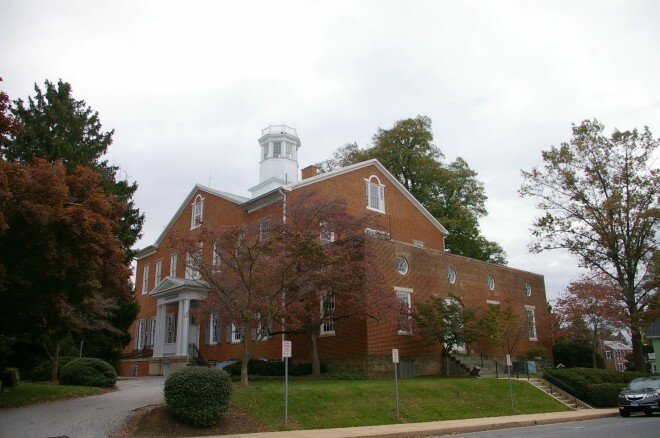 James Shellman, the first mayor of Westminster, was the architect and Swope & Durbin, the two men responsible for building the Jail, also laid the masonry for the courthouse. Description: The building faces northwest and is a two story red colored brick and concrete structure. 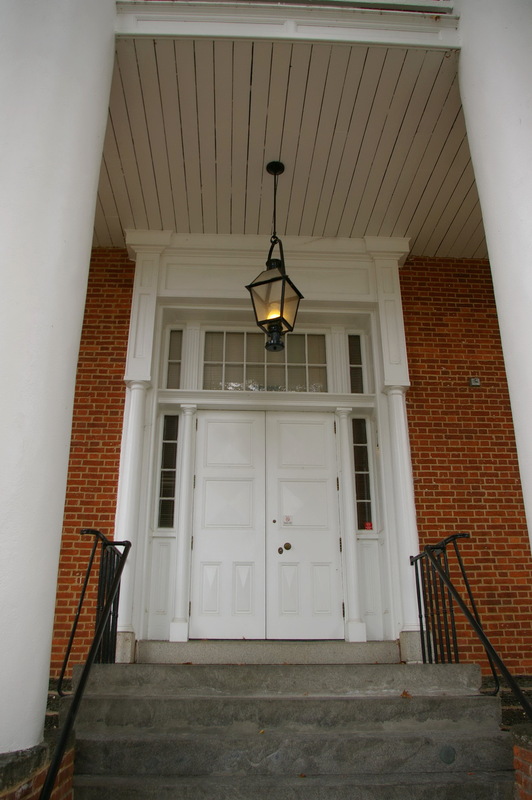 The northwest front has a central entrance with vertical concrete pilasters, arched pediment and recessed framed entrance. The windows have shutters. A wide concrete cornice follows the roof line. The building houses the circuit court. Description: The building faces southwest and is a two story red colored brick and concrete structure. The southwest front has a large double column partly enclosed portico with pediment. Behind is a large square section rising to an octagonal white colored cupola at the center of the hipped roof. Two story wings run southeast and northeast with dormers along the hipped roof. Contractor: Joseph F Trionfo & Sons Inc. 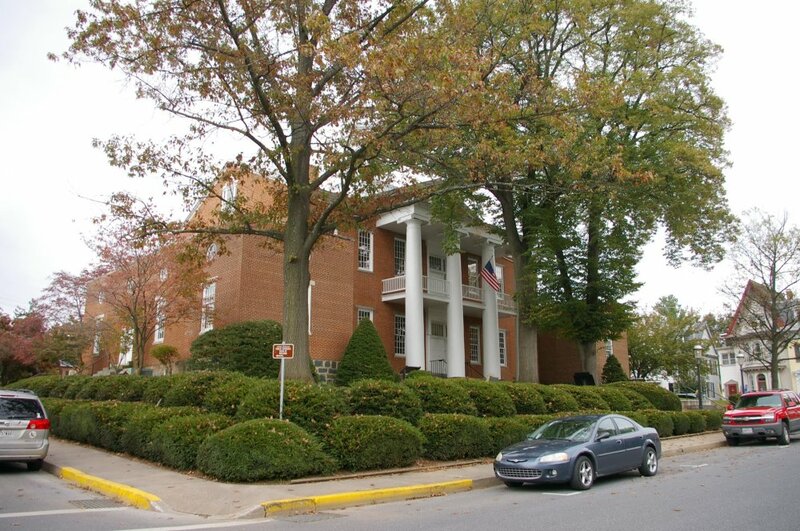 Description: The building faces northwest and is a four story buff colored brick and concrete structure. The front has three projecting sections with a central entrance. A wide horizontal belt runs above the second story and along the roof line. . The roof is sloped along the outer edge.